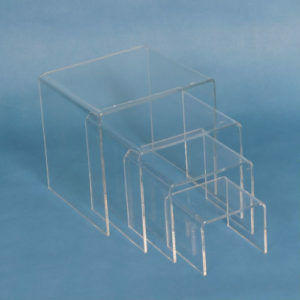 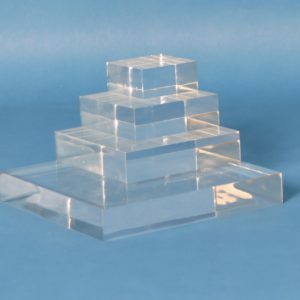 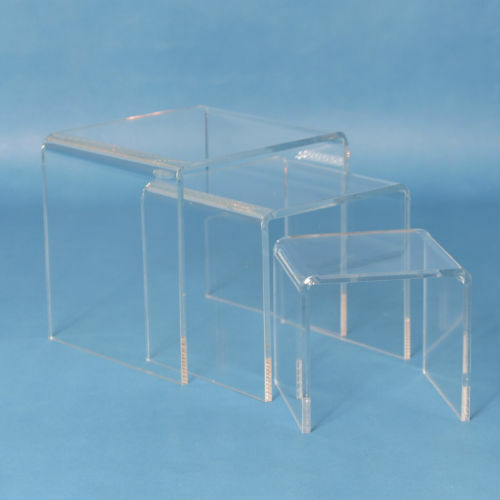 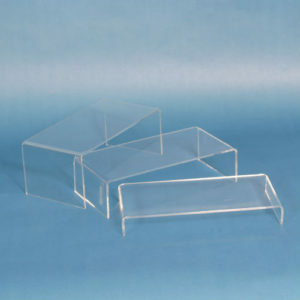 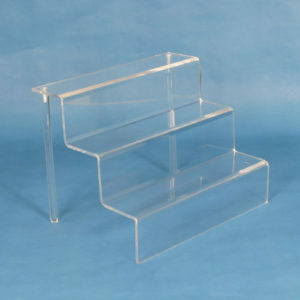 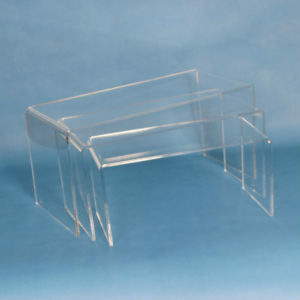 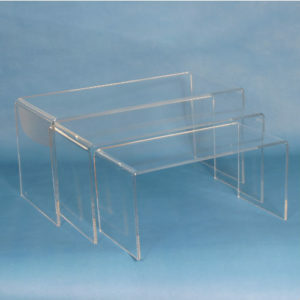 These versatile risers will enable you to create many interesting displays in your windows, showcases and tables. 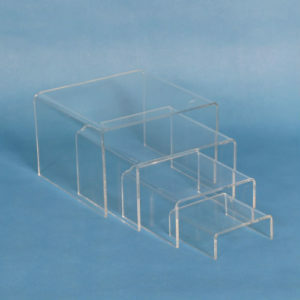 Elevate your displays to interesting eye levels and increase your display space by building various levels. 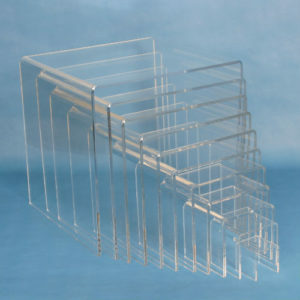 All edges are sanded and polished to a crystal clear finish. 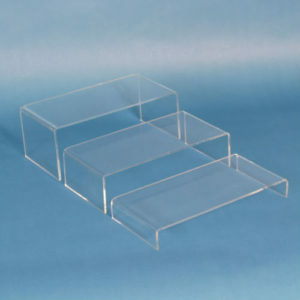 May be purchased individually or in sets of three. 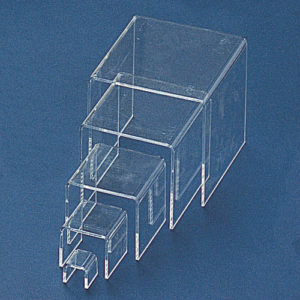 All 1/4″ thick acrylic. 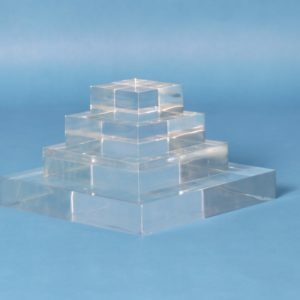 4"x4", 5"x5", 6"x6", Set of 1 EA 4", 5" & 6", 7"x7", 8"x8", 9"x9", Set of 1 EA 7", 8" & 9", 10"x10", 11"x11", 12"x12", Set of 1 EA 10", 11" & 12", 14"x14", 15"x15", 16"x16", Set of 1 EA 14", 15" & 16"